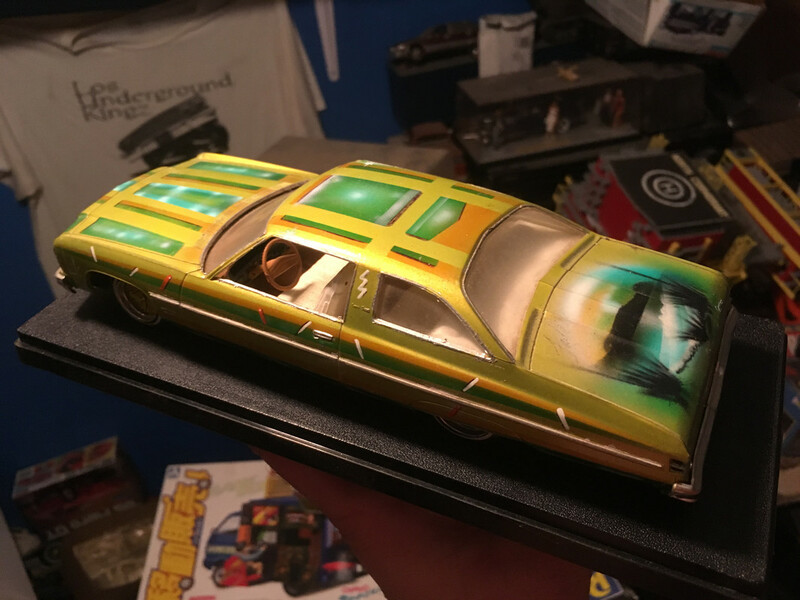 Vintage 90's lowrider build - help me find the magazine it was in! I have owned this car for about 10 years, it is one of the few builds I have in my collection that I did not build myself . 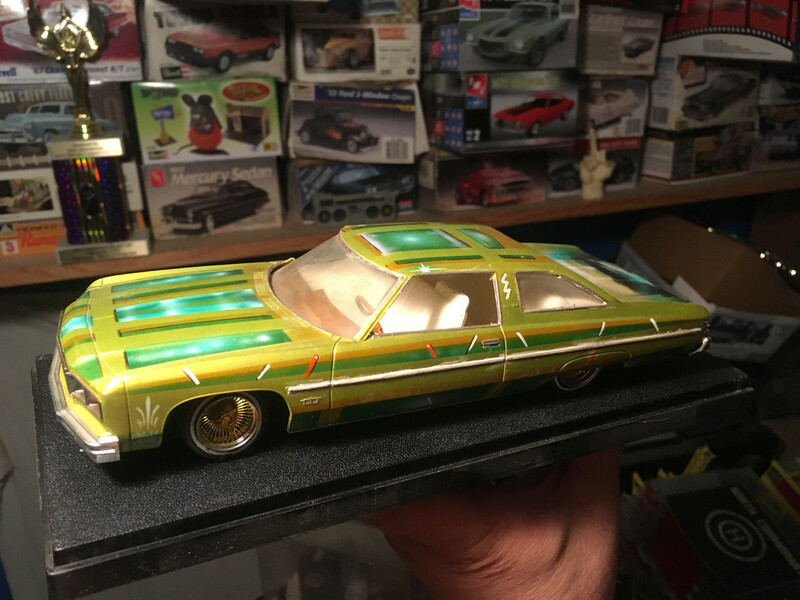 When I purchased this car , I bought it and a body that was also handpainted with murals . I do remember that this car was featured in Lowrider Bicycle magazine , approximately 1995 - 1996 . I would like to find and purchase the issue is that this car is in, and if anyone knows the history or the builder I am very curious to know that as well .